I have a new crush, and it’s a cobra! Are you following @BronxZoosCobra? 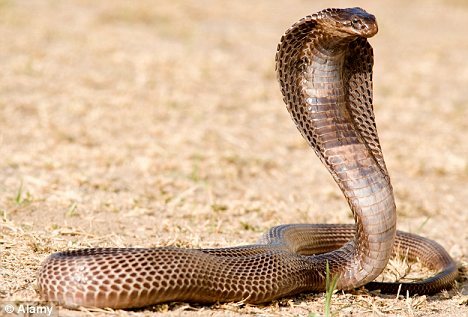 If you’re unfamiliar with the story, the Bronx Zoo has lost a rather venomous snake*, an Egyptian Cobra, and in the ensuing New York panic, an incredibly clever person created a Twitter account in the name of the snake. Despite the fact that @BronxZoosCobra is only following one person, their funny tweets have got them nearly 200,000 followers in under a week, myself included. Despite the fact that there’s almost no chance that the snake has left the reptile house, New Yorkers’ fear of animals created the perfect opportunity to both ridicule and support New Yorkers and the snake has done just that with its posts. Ranging from jokes about the original Ray’s Pizza (there are probably 60 places that claim to be the original Ray’s) to jokes about sneaking into chimneys and open apartment windows at night, @BronxZooCobra is the perfect mix of NYC insider and comedian. What I particularly like about this is that it shows that being particularly clever and topical can get you a lot of attention, even though the market is already saturated. This is good for businesses and self-promoters, if you’re witty and quick on the trigger you can still be really successful. @BronxZooCobra has already promoted some local businesses, but just imagine how much self-promotion the person behind could do – social media has the power to create significant fame quite literally overnight. *Although many media reports erroneously say it’s poisonous, it is not. Poisonous means you can’t eat it, and you can eat cobras just fine, you just don’t want to get bit! Indiana Jones, why'd it have to be Indiana Jones? Getting my morning coffee at mud tuck. Don't even talk to me until I've had my morning coffee. Seriously don't. I'm venomous. Want to clear up a misconception, I'm not poisonous as has been reported. I'm venomous. Super venomous, but not poisonous so don't worry. In all probability the snake went to seek a warm place. One place to look would be the city’s sewer system. The city maintenance workers should be paid extra for a possible life threatening condition on top of an already hazardous working environment. Just saying.